Brain Box is a creative and stimulating space, offering a revolutionary way for how meetings and discussions are conducted in the future with flexibility, creativity and brain food in mind. 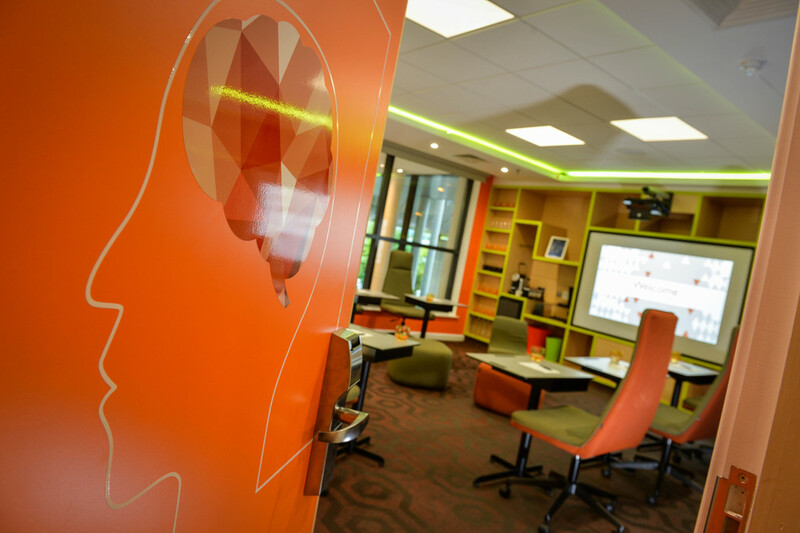 Brain Box is a new high tech, creative meeting space which allows users to move around the room as needed, break into groups or have a one on one discussion. Clients can work from multiple computers or tablets, information can be displayed on a large touch screen and ideas and thoughts can be written on walls. The lighting can be altered to suit each meeting. Clever storage systems, flexible furniture and informative graphics have been incorporated into the design to ensure maximum, flexible usage of the space for a variety of types. The colour scheme has been developed to motivate and energize.